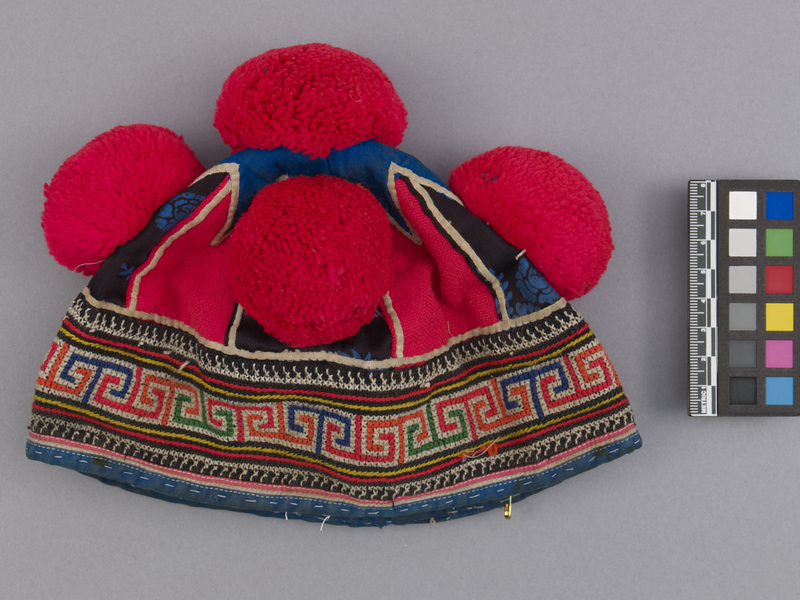 Item number 2902/39 from the MOA: University of British Columbia. Small hat with blue starburst design on top with pink and black triangular sections coming down from it. Black sections have alternating pink and blue flower motifs. Bottom half has colourful embroidery in geometric pattern. 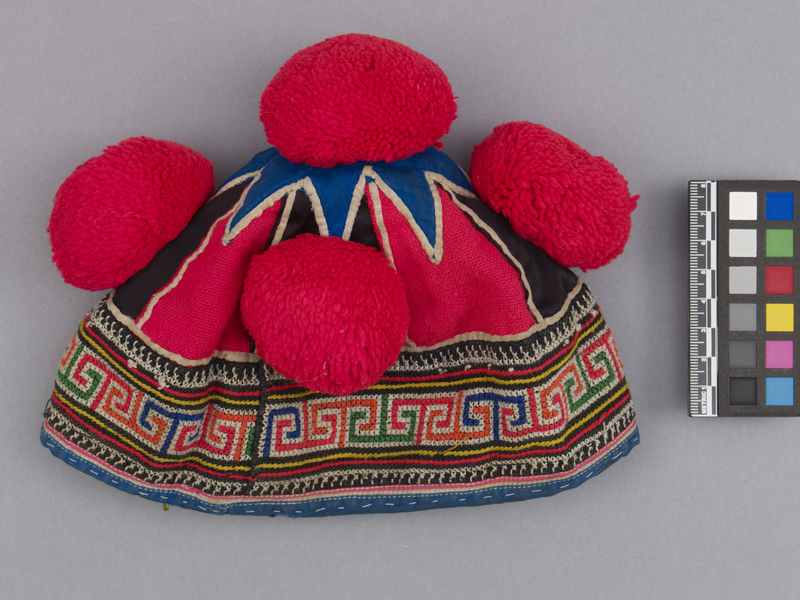 There are five large pink pompoms on the top of the hat, one on the centre of the starburst, and four surrounding it.